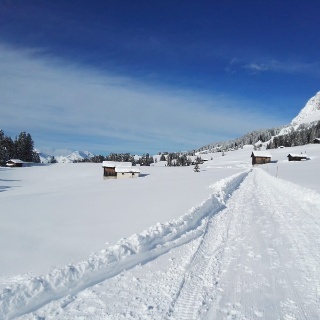 A lot of sunshine and even more panoramic views: On the mountain path, the winter hikers enjoy a wonderful view of the surrounding mountain peaks and the frozen lake Heidsee. At the Tgantieni summit station, you have a stunning panoramic view: the opposite side of the valley is dominated by the Parpaner Rothorn; In the south, the view to the Albulatal and Oberhalbstein. Now follow a small ascent to the mountain hotel Tgantieni, where you will enter the mountain path towards Valbella. 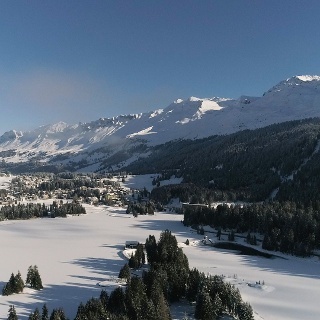 In addition to the wonderfully snow-covered mountain landscape, you have an amazing view of the frozen lake Heidsee. There are numerous species of fish such as char, brook, rainbow trout, minnow, carp and tench. The lakeside is partially protected. Practically flat, we continue on the flank of Piz Scalottas and Danis to Spoina. 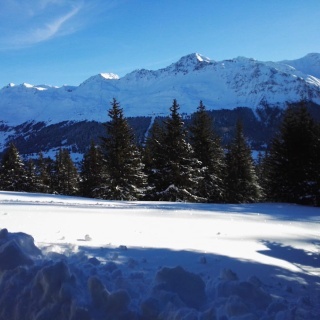 There you take the right fork, which leads through snow-covered woods past the Pedra Grosse chair lift. In the end you will reach back tot he village center via Voa Sporz. 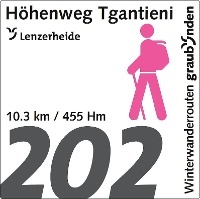 For winter hiking, follow the logo indicated on the pink signposts. Take a printout of our web map on your tour for safety's sake. 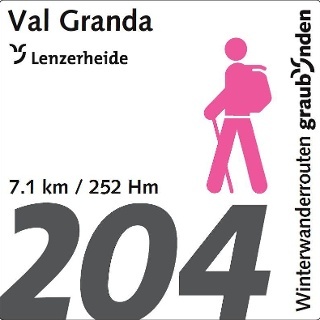 this route is only signposted in one direction: Lenzerheide, Post–Val Sporz–Sesselbahn Tgantieni–Spoina–Val Sporz–Lenzerheide, Post. The tour starts at the information office in Lenzerheide, which is lcated directly opposite the post office. From there, follow the main road to the ice rink and continue to Lai shopping center. 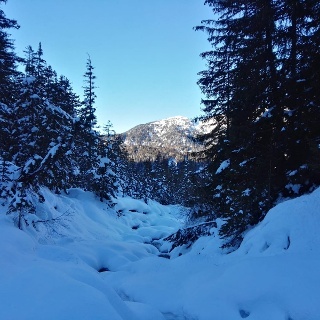 The valley station of the Tgantieni chairlift, which leads to the starting point, is reached after a walk through the «Penasch seura» district. Arriving in Chur by train, take the postauto bus 182 to Lenzerheide. 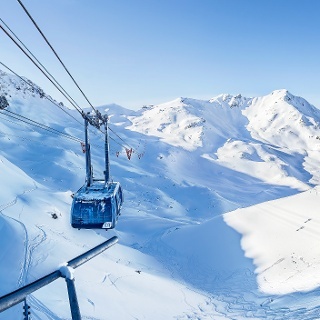 Within 30 minutes you'll reach Lenzerheide. Get off at Lenzerheide Post. 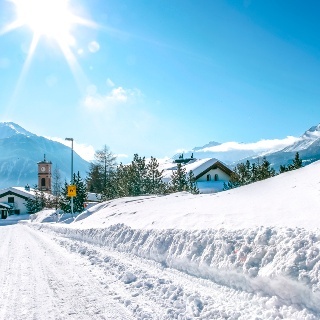 Highway A13 to Lenzerheide, get off at Nr.17 Chur-Süd, follow the signs to Lenzerheide. Parking spaces by the village entrance.